The most obvious change you’ll see in RavenDB 4.0 is that we made a fundamental change in how we are handle clustering. Learn more about it in this article. This week or early next week, we’ll have the RavenDB 4.0 beta out. I’m really excited about this release because it finalizes a lot of our work from the past two years. In the alpha version, we were able to show off some major performance improvements and a few hints of the things that we had planned, but it was still at the infrastructure stage. Now, we are talking about unveiling almost all of our new functionality and design. Let's consider three nodes that form a RavenDB cluster in RavenDB 3.x. Each database in RavenDB 3.x is an independent entity. 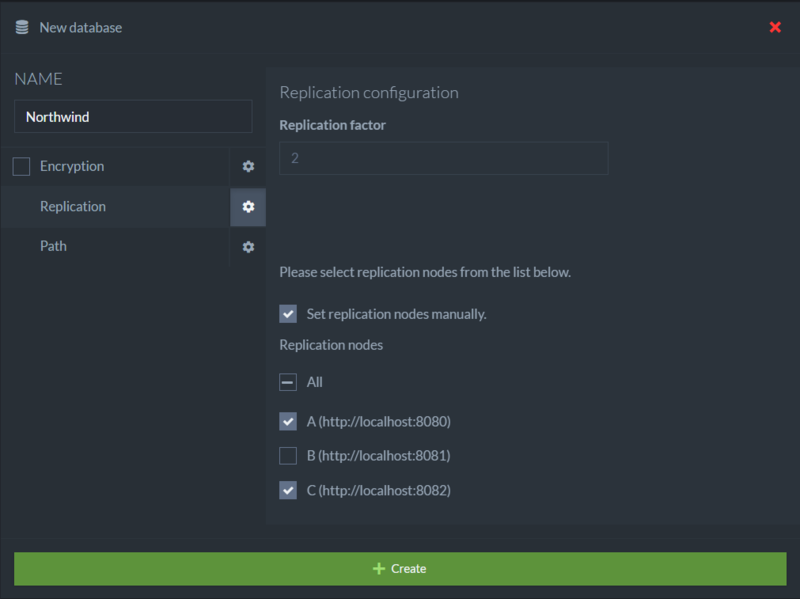 You can setup replication between different databases and out of the cooperation of the different nodes and some client side help, we get robust high availability and failover. However, there is a lot of work that you need to do on all the nodes (setup master/master between all the nodes on each can grow very tedious). And while you get high availability for reads and writes, you don’t get that for other tasks in the database. Let us see how this works in RavenDB 4.0, shall we? The first thing we need to do is spin up three nodes. 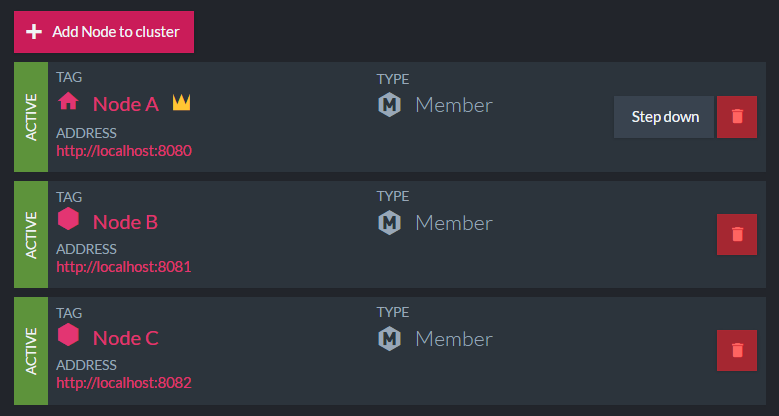 As you can see, we have three nodes, and Node A has been selected as the leader. To simplify things for ourselves, we just assign arbitrary letters to the nodes. That allow us to refer to them as Node A, Node B, etc. Instead of something like WIN-MC2B0FG64GR. We also expose this information directly in the browser. Once the cluster has been created, we can create a database, and when we do that, we can either specify what the replication factor should be or manually control what nodes this database will be on. You might notice that this looks almost exactly like you would use RavenDB 3.x. And you'd be correct. But there are some important differences. Instead of specifying a single server URL, you can now specify several. And the actual URL we provided doesn’t make any sense at all. We are pointing it to Node B, running on port 8081. However, that node doesn’t have the Northwind database. That is another important change. We can now go to any node in the cluster and ask for the topology of any database, and we’ll get the current database topology to use. We can also extend the database to additional nodes, and the cluster will setup the database on the new node, transfer all the data to it (by assigning a node to replicate all the data to the new node), wait until all the data and indexing is done and only then bring it up as a full-fledged member of the database, available for failover and for handling all the routine tasks.